John Norton was born on 29 November 1758. He was the son of David Norton and Anna Bronson. John Norton married Lucretia Buell, daughter of Capt. Jonathan Buell and Lydia Landon, in March 1782. John Norton died on 24 August 1828 at age 69. David Norton was the son of (?) Norton. Dorothy Bates was born circa 1763. She was the daughter of Capt. Lemuel Bates and Deborah Lewis.1 Dorothy Bates married Hezekiah Holcombe II, son of Capt. Hezekiah Holcombe and Susanna Alderman, on 9 August 1788. Dorothy Bates died on 5 October 1836 at East Granby, Hartford Co., CT.
[S104] DAR DAR Lineage book, Vol 93, Page 20, #92063. Seaver and McPherson put Lemuel here, Bowman puts him as a son of David, #42222. Carol Laun at the Salmon Brook historical Society agrees. Bowman seems to be in error. Lemuel C. and Julia were enumerated in the 1850 Granby, Hartford Co., CT, federal census. He was a teacher age 55, she was 60. Children in the household were Jeremy 28, and Hugh 25. Lemuel C. and Julia were enumerated in the 1860 East Granby, Hartford Co., CT, federal census. He was a farmer age 66, she was 71. Daughter Julia and her family with Henry Merwin were enumerated next door. Lemuel C. was enumerated in the 1870 East Granby, Hartford Co., CT federal census, page 6. He was a farmer, age 76. Oswold was a farm laborer, age 51. Daughter Julia, a widow was in the household, age 54, with children Cicero 27, Arabella 17, Jennie 13, and Carrie 10. [S25] Hannah McPherson, Holcombe Genealogy, Page 54.1/Item A-4-5-2-3-1-14. [S104] DAR DAR Lineage book, Vol. XVII:Pg 40/Item 16100; Vol. XCIII:Pg. 20/Item 92063; Vol. CXXVI/Item 125014. [S377] Coralee Griswold Griswold 6 & 7 Vol 1, Page 348. Elizabeth Clapp was the daughter of Capt. Roger Clapp and Joanna Ford. [S82] Gary Boyd Roberts and William Addams Reitwiesner, Princess Di, Page 38/Item 42. Nathaniel Holmes was the son of Joseph Holmes and Elizabeth Clapp. Samuel Clapp was the son of Capt. Roger Clapp and Joanna Ford. Experience Clapp was the daughter of Desire Clapp and Sarah Pond. Thomas Clapp was the son of Preserved Clapp and Sarah Newberry. Elijah Clapp was the son of Thomas Clapp and Mary King. Mary Clapp was the daughter of Elijah Clapp and Mary Benton. Desire Clapp was the son of Capt. Roger Clapp and Joanna Ford. Elizabeth Clapp was the daughter of Samuel Clapp and Hannah Leeds. [S82] Gary Boyd Roberts and William Addams Reitwiesner, Princess Di, Page 40/Item 53. Elihu Parsons was the son of Capt. Ebenezer Parsons and Mary Stebbins. [S82] Gary Boyd Roberts and William Addams Reitwiesner, Princess Di, Page 51/Item 163. Sarah Spencer was also known as Lady Sarah McQuorquodale. She was born on 19 March 1955. 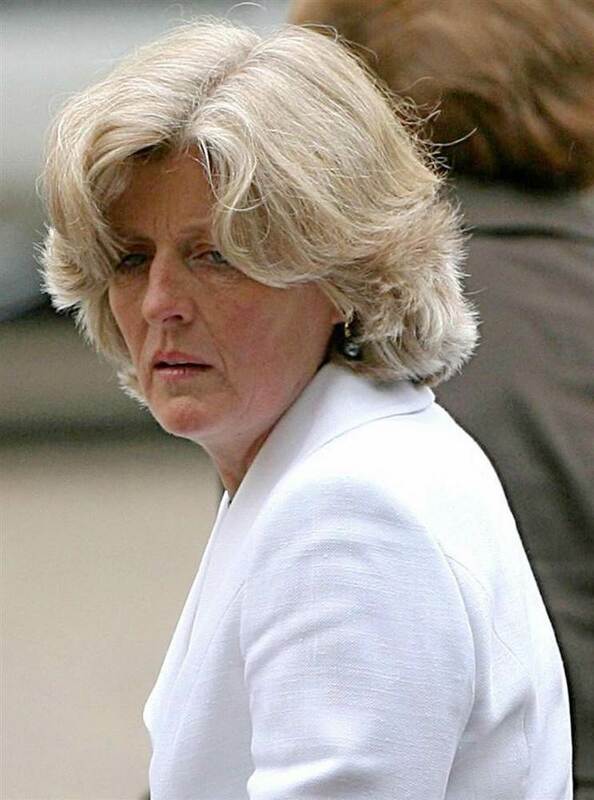 She was the daughter of Edward John Spencer 8th Earl Spencer and Frances Ruth Burke Roche. Jane Spencer was also known as Lady Jane Fellowes. She was born on 11 February 1957. 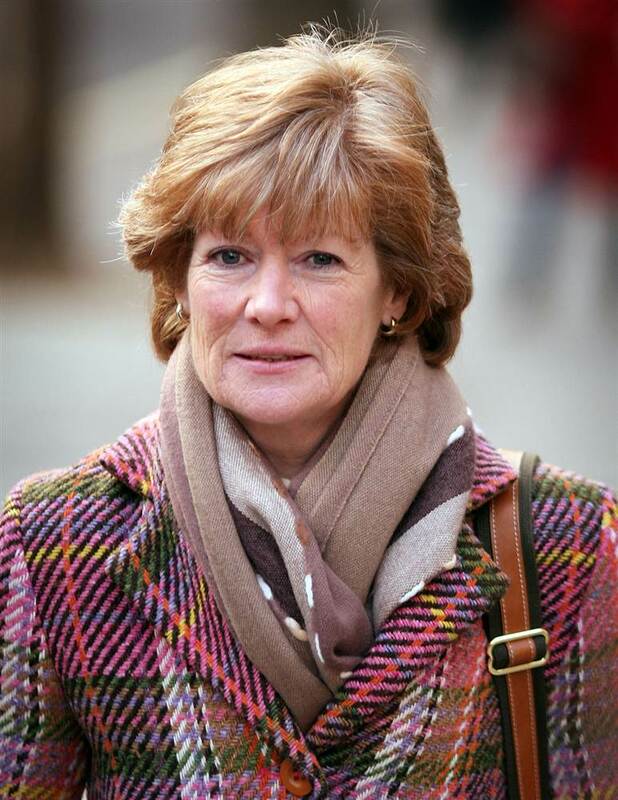 She was the daughter of Edward John Spencer 8th Earl Spencer and Frances Ruth Burke Roche. Earl Charles Edward Maurice Spencer was born on 20 May 1964. 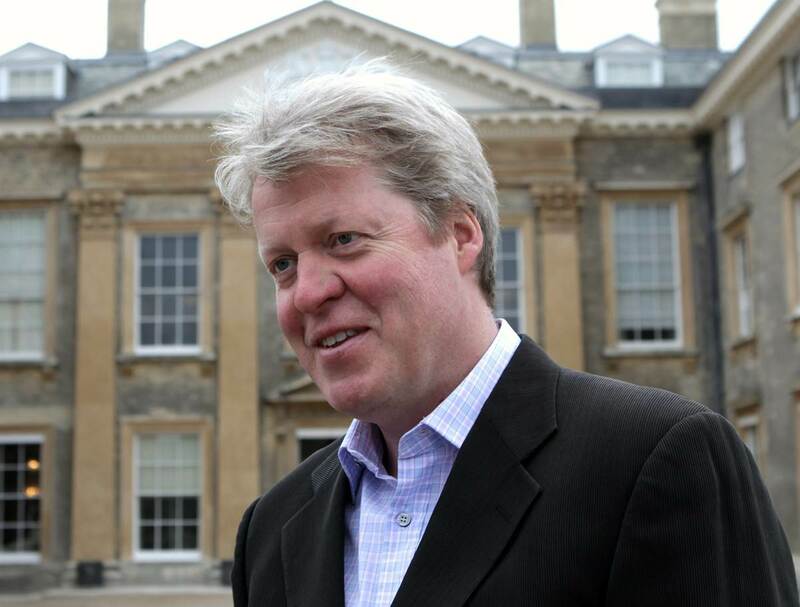 He was the son of Edward John Spencer 8th Earl Spencer and Frances Ruth Burke Roche. The family of Amasa Jr. is not adequately detailed by McPherson and Seaver. 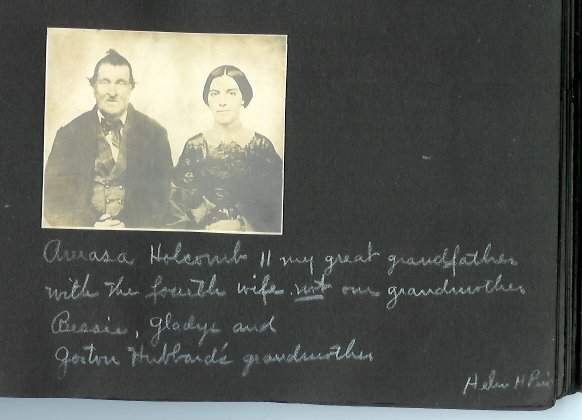 Donna Holcomb Larose has been researching her ancestor Amasa since 1995 and the following information on the Descendants is the result of her extenisve research. If Amasa married more than 3 times, there is no proof (yet) and it appears highly unlikely. McPherson lists a 4th wife, Mary Webby, and a 5th, unnamed wife. Amasa and Luna were enumerated in the 1850 Canton, Hartford Co., CT, feceral census, page 293. He was a farmer age 55, and she was 35. Children in the household were Rockwell 12, Almira 9, Phelps 6, and Amherst 4. Also in the household were Antoinet Goddard 13, Luke Holcombe 52, and Noah Hart 45. Luna Godard MIGHT had been previously married to Junius (or Jurius) Godard. Per Canton Church Record, he died 1841. The Antoinet in the household in 1850 is likely Luna's daughter. Amasa and Mary were enumerated in the 1860 East Granby, Hartford Co., CT, federal census. He was a farmer, age 65; she was 27. Children in the household were Phelps 16, Amherst 13, and Ruth 5, and Charles Henry 1. In addition a number of laborers and servants were listed. Amasa was enumerated in the 1880 Meriden, New Haven Co. CT federal census (age 85) in the household of his son Charles Henry. [S23] Jesse Seaver, The Holcomb(e) Genealogy, Page 29/Item 126. [S25] Hannah McPherson, Holcombe Genealogy, Page 47.2/Item A-4-2-2-9-1. Joel Holcombe was born on 5 February 1781 at Granby, Hartford Co., CT. He was the son of Hezekiah Holcombe II and Chloe Pinney. Joel Holcombe married Chloe Case, daughter of Amasa Case and Elizabeth Phelps, on 24 December 1798. Joel Holcombe married Huldah Phelps. Joel Holcombe died on 12 July 1840 at age 59. He was buried at Scotland Cemetery, Bloomfield, Hartford Co., CT.
[S25] Hannah McPherson, Holcombe Genealogy, Page 53.1/Item A-4-5-2-3-1-9. [S23] Jesse Seaver, The Holcomb(e) Genealogy, Page 33/Item 128. Homer Holcombe was born on 6 November 1794. He was the son of Abel Holcombe and Elizabeth Pinney. Homer Holcombe married Margaret Benham. Homer Holcombe died on 4 February 1876 at age 81. Homer and Margaret were enumerated in the 1850 Windham, Greene Co., NY, federal census. He was a farmer, age 55, she was 53. Children in the household were Friend 27, Abel 21, Margaret 22, Clarissa 20, Morton 18, Norman 13, and Sherwood 11. Homer and Margaret were enumerated in the 1860 Windham, Greene Co., NY, federal census. He was 65, she was 64. Also in the household was A. Gay 32, and Fanny Grant 28. [S23] Jesse Seaver, The Holcomb(e) Genealogy, Page 34/Item 129. [S25] Hannah McPherson, Holcombe Genealogy, Page 60.1/Item A-4-5-2-3-5-7. [S25] Hannah McPherson, Holcombe Genealogy, Page 60.1, 61.2, Item A-4-5-2-3-5-7-10. Margaret Benham married Homer Holcombe, son of Abel Holcombe and Elizabeth Pinney. Orry Howard Holcombe was born on 21 January 1823 at NY. He was the son of Samuel Holcombe II and Verona Howard. Orry Howard Holcombe married Elizabeth Ann Long, daughter of Peter Long and Phebe Hankerson, on 13 January 1843 at Lebanon, Columbia Co., NY.2 Orry Howard Holcombe died in 1884 at Troy, NY. Musician, Albany, Green Island, Poestenkill, Stephentown, Troy and Utica, NY, Hancock and Pittsfield, Mass. and Cincinnati. O.
Orry H. and Elizabeth A. were enumerated in the 1870 Troy, Rensselaer Co., NY, federal census, ward 2, subdivision 347, page 66. He was a musician age 47, she was 50, Children in the household were James V. 26 an invalid, George 15, and Ella F. 13. Orry and Elizabeth were enumerated in the 1880 Troy, Rensselaer Co., NY, federal census. He was a musician, age 57, she was 59. Children in the household were Charles A. 27, and Ella F. 22. [S25] Hannah McPherson, Holcombe Genealogy, Page 31.1/Item A-4-2-1-1-1-6-1-1. Jane Verona Holcombe was born on 21 March 1827 at NY. She was the daughter of Samuel Holcombe II and Verona Howard. Mary Samantha Holcombe was born on 28 March 1830 at NY. She was the daughter of Samuel Holcombe II and Verona Howard. Mary Samantha Holcombe died on 29 March 1842 at age 12. Nathan Jerome Holcombe was born on 27 October 1834 at NY. He was the son of Samuel Holcombe II and Verona Howard. Andrew was a carriage maker in Poestenkill and Stephenton, NY. Andrew Jackson Holcombe was born on 21 July 1837 at NY. He was the son of Samuel Holcombe II and Verona Howard. Andrew Jackson Holcombe married Sarah Elizabeth Ives, daughter of Jacob Ives and Rebecca Morrison, on 7 January 1856 at Poestenkill, Rensselaer Co., NY. [S25] Hannah McPherson, Holcombe Genealogy, Page 31.1/Item A-4-2-1-1-1-6-1-5. James Volney Holcombe was born on 22 January 1844 at Hancock, Berkshire Co., MA. He was the son of Orry Howard Holcombe and Elizabeth Ann Long. Mary Samantha Holcombe was born on 5 September 1845 at Stephentown, Rensselaer Co., NY. She was the daughter of Orry Howard Holcombe and Elizabeth Ann Long. Alice Angeline Holcombe was born on 17 July 1847 at Stephentown, Rensselaer Co., NY. She was the daughter of Orry Howard Holcombe and Elizabeth Ann Long. Married and had one child. Elizabeth Verona Holcombe was born on 5 March 1850 at Green Island, Albany Co., NY. She was the daughter of Orry Howard Holcombe and Elizabeth Ann Long.